The premiere issue of Newman University Magazine is now available online at mag.newmanu.edu. The magazine, which succeeds the former Newman Challenge Alumni Magazine, features a new design and a new approach to reporting on the many activities at Newman University. The first issue includes a look at our 80-year history and our first president, Monsignor Leon A. McNeill. The online edition features photographs and information not included in the print edition. 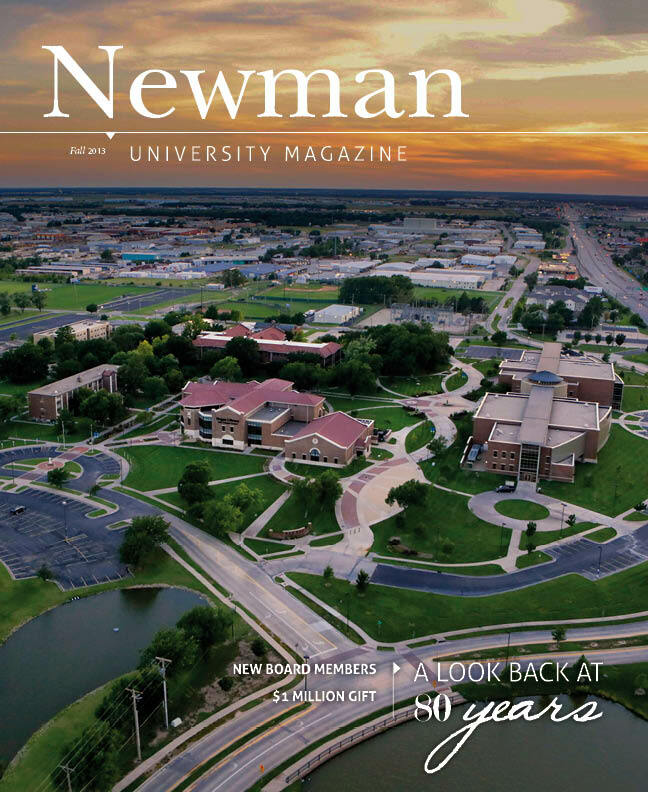 Read the online version of Newman University Magazine today, and send comments to Alumni Director, Newman University, 3100 McCormick, Wichita, KS 67213-2097, or cundiffs@newmanu.edu.